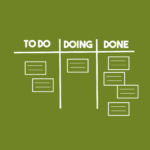 The concept of a Value Stream is fundamental to SAFe and how to optimally organize your Teams, ARTs, and Solution trains. In fact, there’s a Value Stream Workshop that’s intended to help organizations identify their Value Streams, prioritize them, and ultimately decide where to start to launch your first ART. While determining the paths to value for your business may, on the surface, appear to be very easy, I can assure you that it’s an “”ART”” (pun intended) not a science to clearly identify and articulate them. 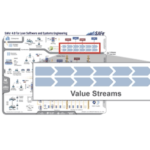 In this session, we’ll explore ways in which to prep for a successful Value Stream Workshop as well as what you should expect when you try to run your first one. I’ll use examples from real workshops that I’ve run and provide some practical advice on how to make sure you come out with something concrete and actionable.